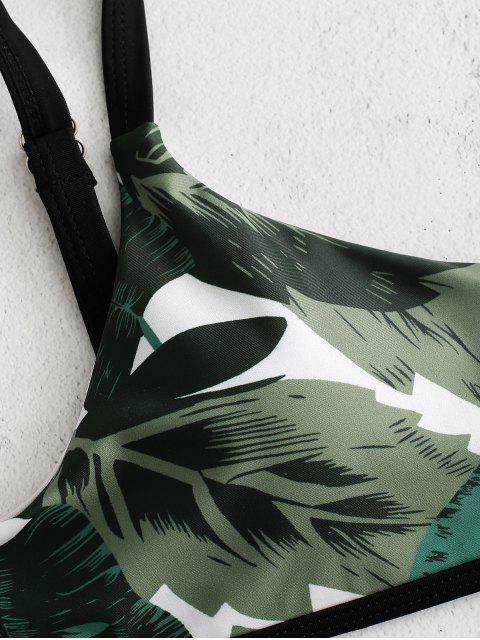 [15% OFF] 2019 Palm Leaf Print Bralette Bikini In MEDIUM SEA GREEN | ZAFUL ..
Súper lindo Se ve exactamente como las Adecuado Súper lindo Mi amor Se ve exactamente como las fotos. Súper lindo Adecuado fotos. Cómodo y de material fantástico Se ve exactamente como las fotos. Se ve exactamente como las fotos. Absolutely adore the pattern and material! Super comfy. I\'m a bit worried that the clip will come undone but other than that it\'s perfect! The stretchy silhouette is cut with a scooped collar rather than traditional triangle cups, with removable padding adding subtle shape to the interior, and the pairing bottoms are a simply classic silhouette.